Quaeritur: Does the First Way Argue for a Personal God? Quaeritur: I am arguing with atheists about the existence of God using the First Way of St. Thomas Aquinas. One of them said that the First Cause does not have to be a living being. I know that this is absurd, but I just can't pinpoint the absurdity of the statement. Please help. One thing about the first way: it is not arguing about the first moment of creation, and it is not arguing that there must have been a temporally first event that came from God. Remember Aristotle believed in the eternity of the world (he thought, erroneously but through no fault of his own, that the world always was and always will be), so he cannot possibly be arguing that a temporally first mover is needed to explain the first temporal movement in history. In other words, there is no 'big bang' in Aristotle, nor is there anything remotely like a beginning in time. He is arguing instead that right here, right now, all this motion is coming from God, who is right now the first mover of the whole universe. 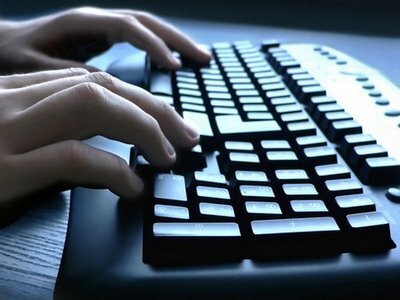 That is, the computer keys are being moved right now by my fingers, which are in turn simultaneously being moved by my brain, which is in turn simultaneously being moved by my will, which is simultaneouly being moved by... the Unmoved Mover, whom everyone calls God. This is a very sophisticated argument, and almost invariably people get it wrong and read into it a temporal universe, something that is directly in contradiction with Aristotle's Physics. But hey, sounds like you got them to agree that there's a first mover. Thank you. I thought the First Way was the most common and easiest for people to understand. Which of the Five Ways do you recommend most then? I just want to be 100% clear. If someone says, using only the First Way to prove the existence of God, that the First Mover does NOT have to have an intelligence and can be just an infinite energy source, for example, then he is correct? No. It does not follow immediately from the first way that the first mover is intelligent, but if you delve into all the metaphysical implications of there being a first, unmoved mover, you will find out, as Aristotle did, that this first mover is the source of all actuality, and hence necessarily pure act; that is, it must possess all the act, all the perfections of everything that it moves. In other words, it is the source of all actuality; it is that which makes all potency actual. And hence if something in the universe is actual, if anything has an actualized potency, it owes this actualization to the unmoved mover. Consequently the unmoved mover, as pure act, must be intelligent, because intelligence is an actuality, and every actuality has its source in the pure act. If there were not a source of intelligence, there could not be intelligence in the universe. But there is intelligence in the universe (we have intellects). So the first being, pure act, includes the act of intelligence. This is how even Aristotle, 350 years before the coming of Christ and without the benefit of a monotheistic religion in his cultural background, concluded that God is noesis noeseos, "thought thinking itself." That is the truth of the matter, but since you are dealing with a non-believer who might not be overly eager to reach belief in a personal God by drawing out all the implications of every argument, you should make concessions for rhetorical purposes. You can tell him that you concede that the argument does not immediately imply the unmoved mover is a personal being. This can serve him very well, because by doing so you are showing him that you are an honest inquirer, and are not just trying to persuade him at all costs. But you can also say that there are other arguments that immediately conclude in a personal God, e.g., the fifth way. It concludes that there is an intelligent orderer (in Paley's words, a designer) of the universe. And that argument is as convincing, if not more, than the first. I thank you very much for taking the time to explain and elaborate. I must say that I am a bit disappointed with the First Way. I thought that each of the Five Ways was self-sufficient in immediately proving the existence of God and that God was an intelligent being. I guess I didn’t think it through well enough. I assumed that the First Mover is intelligent and that it would evident through each of the Five Ways. Thank you. I will try to learn well the Fifth Way and use it in the future. Yes, St. Thomas is very patient. He never tries to prove too much. Take a good look at the contents of the Prima Pars. Take in consideration the fact that Aquinas spends only one article (Ia, q. 2, a. 3) to prove the existence of a 'deity', "something we can call 'a god'," and then takes 20+ questions (Ia, qq. 3-26) to demonstrate what exactly He is like, what are His attributes. My experience with the first way has actually been quite the opposite: at first I encountered it as an atheist and it seemed modest enough that I could accept it without buying into the whole Catholic religion, which at the time sounded more like a mythology than anything else. But Divine Providence knew that that's exactly what I needed at the time. I needed to take baby steps towards belief in God. That was my first baby step. Then I continued to work my way through the five ways and each one enriched my notion of the deity, and the fifth one sealed the deal insofar as it helped me arrive explicitly at a personal God. As I kept on studying, and made my way through the whole treatise on De Deo Uno (Ia, qq. 2-26), I started realizing that most of the proofs for this and that attribute made reference time and again to the first way. God is simple because he is pure act, as was proven in the first way. He is omnipotent, omniscient, infinitely perfect, etc., etc...., because he is pure act, as proven in the first way. Almost all of the De Deo Uno all boils down to the first way. Even the whole topic of predestination (Ia, q. 23) is deducible mostly from the first way! The first way is truly foundational for St. Thomas' worldview. It is of immense importance. This is not surprising, as even in Aristotle, almost all of his theology in Metaphysics XII (aka, book Lambda) is deduced from the argument from motion discussed in Physics VIII. So what at first seemed like a modest enough argument for my poor atheistic mind to accept, now is for me the obvious foundation for my worldview. Is Moral Theology a speculative or practical science? Moral Theology is not 'one science', i.e., a whole science. It is an integral part of Sacred Theology, which is one, whole science. So the question is whether the science of Sacred Theology is practical or speculative. One can't really ask whether an elephant trunk, elephant legs, or an elephant tail is a quadruped. It only really makes sense to ask whether an elephant is a quadruped. Now, Aquinas answers this question in the first question of the Summa Theologiae (ST Ia, q. 1, a. 4). His answer may seem slightly strange at first but as you read on in the Summa it starts making more sense: he says that Sacred Theology is both speculative and practical, but that it is primarily speculative. We ought to study it primarily for the sake of knowing God (hence it is speculative, for speculative sciences exist for the sake of knowledge), although it also helps us order our actions toward God (and hence is secondarily practical, for practical sciences exist in order to guide our actions). But I suppose you could say that moral theology is the practical part par excellence of Sacred Theology, as its whole function is to guide our actions toward God. So is it accurate to say that doctrines concerning Faith are speculative and hence of the speculative intellect, whereas doctrines concerning Morals are practical and hence of the practical intellect? Mostly, although in reality the use of both is intertwined in the different parts of Theology. Just to cite two examples, in dogmatic theology we speak of God's providence, which has lots of practical ramifications for our moral and spiritual life, and in moral theology we speak of the passions, which help us understand Christology (dogma) in a speculative way. One good author to consult here is Garrigou-Lagrange, esp. his introductions to his commentaries on the Summa. 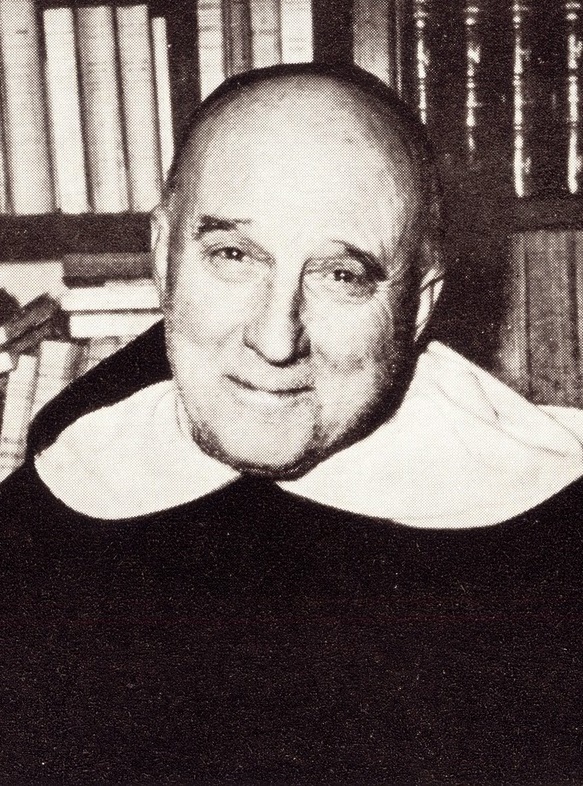 He was perfectly faithful to the thought and principles of St. Thomas in a time when many scholastic (and non-scholastic) authors were less consistently Thomistic, at least insofar as they lost sight of some of the nuances of Aquinas' understanding of science and of sacred theology. Thank you, Doctor. One more question: Is this accurate? "Abortion is morally evil" – speculative intellect (doctrine of Faith). "You shall not commit abortion" – practical intellect (doctrine of Morals). Both are practical because they both have to do with moral actions. It's not just a question of grammar ('is' vs. 'shall not') but a question of being vs. action ('is the case' vs. 'should be the case'). Something more speculative would be 'abortion is the killing of a fetus', whereas 'abortion is wrong' is practical. So ‘abortion is the killing of a fetus’ is a doctrine of Faith, whereas ‘abortion is wrong’ is a doctrine of Morals? Yes, one could say that. Thank you. I have been struggling with this Faith/speculative vs. Morals/practical distinction for some time. I knew that I could come to you for a clearer understanding. God bless. You're welcome. I'm glad I could help a bit.